The land upon which the house, now known as Nine Gables, was built was originally the south half of a farm consisting of 100 acres owned by the Reverend William Macaulay (rector of the Church of England in the Parish of Hallowell since 1823) and inherited from William Macaulay (a Loyalist from New York) . The Reverend Macaulay transferred one acre of this property in 1836 to the Roman Catholic Church in Picton for "five shillings of the lawful money of Upper Canada". After Macaulay's death in 1874, his estate transferred more of the original farmland to the Catholic Church. The lot upon which Nine Gables now sits was sold by the Catholic Church to a Francis McManus in 1882 for $500. An 1880 assessment roll shows the McManus was a bar tender and later a divisional court clerk who lived on a dwelling on this property that housed 7 to 10 people. It is likely then that the original house which is now Nine Gables was built about 1880. The house expanded over the years as several additions were made to west and south walls of the house in the 1970's and 2000's. From the front on Maitland Street, it looks much like the original house (minus the original front porch). 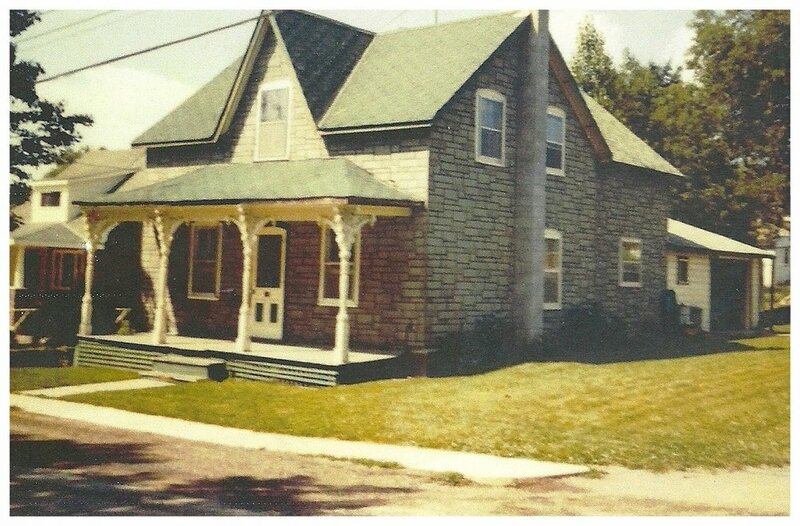 In 2008, we purchased the house and renovated the existing space to make it into a bed and breakfast. In 2010, we named our bed and breakfast, Nine Gables, and opened for business. We ended the full service bed and breakfast in 2017 and have opened up the upper back part of the house as a self-catered vacation rental called The Loft at Nine Gables.